There’s a lot of debate over who truly brought all-electric cars to the masses. The Nissan Leaf was first, but failed to catch on with buyers. The Tesla Model S sold in higher numbers but was priced far-above most consumer’s budgets. It was the Chevy Bolt, however, that hit the sweet spot for both appeal and price-point. 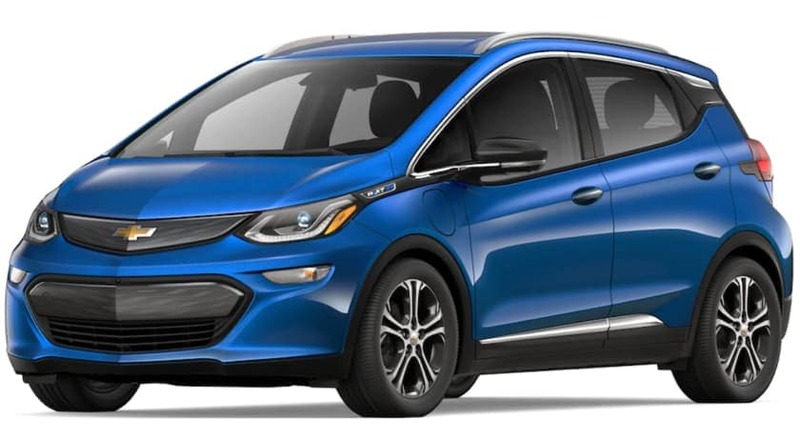 The 2019 Chevy Bolt looks to build on the reputation of a best-selling EV (Electric Vehicle). Introduced in 2017, the Chevy Bolt remains one of the only mass-produced and stand-alone electric models for sale. Not be confused with the plug-in hybrid Chevy Volt sedan, the Bolt hatchback was the product of five years of research and development from a team of 180. The result is a car that doesn’t present itself as an obvious EV. There is no odd aerodynamically-motived styling or cargo space eaten up by a bulky battery. In fact, all of the advanced battery technology lies between your feet and the road, enclosed and protected by a totally flat underbody. If you only remember one thing about the 2019 Chevrolet Bolt, it should be this – 238 miles from a full charge. The thought of a road trip in many other EVs is at worst a non-starter and at best a headache from planning your route for charging stops and general range anxiety. With the Bolt, any road trip under four hours is a breeze. For example: from Downtown Orlando, the Bolt will reach Miami beach without stopping to charge and can make it to Tampa and back without even coming close to its range. Charging the Bolt is as simple as plugging in your smartphone – simply insert the charger into the port located just above the driver’s side front tire. With the Chevy-recommended 240-volt/32-amp charging unit*, the Bolt will get about 25 miles of charge per hour. With location-based charging, you can make the Bolt charge when it makes the most sense for you, whether that be during off-peak electricity hours or right when you get home. For those more on-the-go, there’s the 120-volt portable charging cord, which produces 4 miles per hour of charge, but can be plugged into any three-prong outlet. City-dwellers may like the appeal of the DC fast charge capability, which allows properly equipped cars to use charging stations located in urban cores across the country, including Orlando. This high-powered charging method net about 90 miles of charge in only 30 minutes. Although there’s no engine under the hood, the 2019 Chevy Bolt’s 60 kWh 350 V lithium-ion battery generates the equivalent of about 200 horsepower, plenty for highway merging and typical commutes. No engine under the hood also means no oil changes; the only regular maintenance needed is tire rotations, air filter replacements, and the occasional fluid re-fill. *Professional installation required. Talk to your electrician to determine compatibility with your home. On the outside, the 2019 Bolt is an attractive hatchback. Remove the EV badges and charging port and its electric powertrain becomes a secret. Gone are the days of wonky dimensions and awkward front-ends in the name of airflow. The Bolt replaces them with curved head-lights and sculpted bodysides. The high greenhouse and completely flat floor come together to create an open, airy interior that sits five adults comfortably. Fold the second-row seats down and the Bolt delivers more than 56 cubic feet of cargo space. Valuable or lesser-used items like ice-scrapers can be stored below the available false cargo floor in the hatch. The open cabin also offers leather seats and a leather-wrapped steering wheel. Put it all together, and the 2019 Chevy Bolt is a modern stunner both inside and out. The 2019 Bolt contains today’s latest tech, including an available 4G wi-fi hotspot, wireless smartphone charging, Chevy’s Infotainment 3 system, and Apple CarPlay/Android Auto as standard. Those interested in tracking their efficiency can use the 10.2-inch touchscreen to view energy details such as total energy used, energy usage by system (Driving and accessories, climate settings, and battery conditioning), efficiency history in 5-mile intervals, and an overall energy score. Drivers with children will likely enjoy the available universal tablet holder, which holds all major tablets and simply attaches to the driver and front-passenger seat headrests. In addition to a 5-star safety rating from the NHTSA (National Highway Traffic Safety Administration), the Bolt offers a full suite of ultrasonic-, radar-, and camera-based safety features designed to keep drivers safe. Available lane keeping assist provides gentle steering corrections when the Bolt drifts out of its lane unintentionally. The rear camera mirror allows the rear-view mirror to pull double duty as a video screen that provides a view of both the back seat and traffic behind the driver. When parking, drivers will appreciate rear cross traffic alert for unseen objects on the left and right side of the vehicle. When combined, the rear vision camera and available rear park assist will make even the most uneasy parkers feel confident in tight lots. Those who opt for surround view will enjoy the convenience of multiple cameras that give the driver a 360-degree view of the Bolt through the infotainment screen. In “L” driving mode, drivers can experience the bliss of one-pedal driving. With regenerative braking, the car’s forward movement can be controlled entirely in the accelerator – you push down, and the car accelerates normally, but take your foot off the pedal and the Bolt loses speed quickly, all the way down to a complete stop. The end result, barring emergency situations, is the driver never needing to touch the brake pedal. While this may seem like an alien concept to many, most drivers end up falling in love with this unique EV feature. One of the biggest reasons the Bolt has been successful is its price-point. A fully loaded Bolt will ring up for around $43,000, substantially less than its only real competitor, the Tesla Model 3 ($47,000-$70,000). After federal and local rebates, that number drops into the mid-to-low $30,000 range. Add that to the money you’ll recoup in gas purchases, and the Bolt is an absolute bargain. 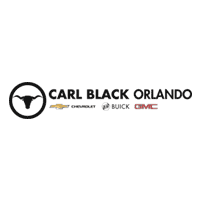 Carl Black Chevrolet is your place to shop the 2019 Chevrolet Bolt in Orlando. We have an extensive inventory of Bolts that are ready to be sold. Whether you’re looking for a brand-new 2019 model or a used model, we’ll be able to help you find what you’re looking for quickly. We will be able to help you through every aspect of the process, from finding your perfect Bolt, to securing financing, and everything in between. Our highly-trained and well-respected staff members will be able to assist you and will provide you with exemplary customer service. If you’re someone who has had a poor car-buying experience, don’t let that sway you from stopping by Carl Black Chevrolet. We will show you the respect that you deserve and provide you with an inventory that will leave you speechless. If you’re ready to commit to the 2019 Chevrolet Bolt, or you have questions for the experts, it’s time to stop by our conveniently located dealership. We know you’ll be glad that you did.